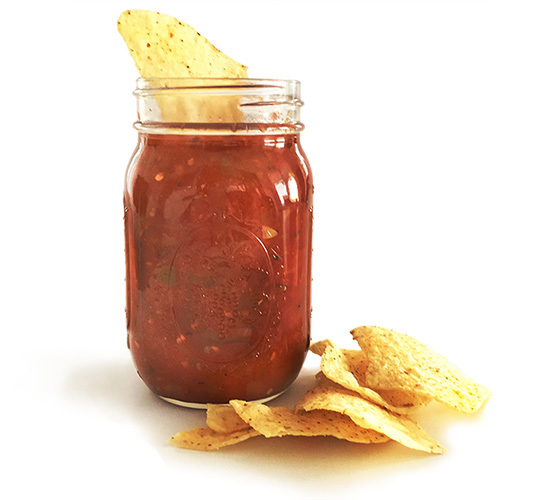 Spice up your meals with our homemade salsa. 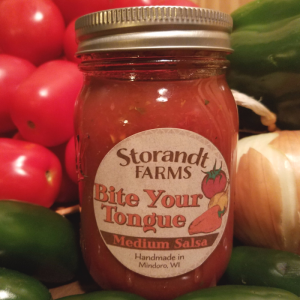 Fresh & Local Salsa from Storandt Farms! 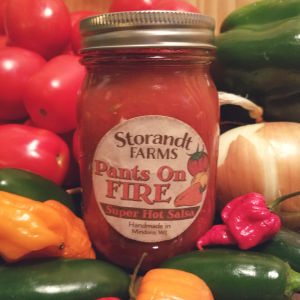 Storandt Farms salsa has a variety of heat level options. 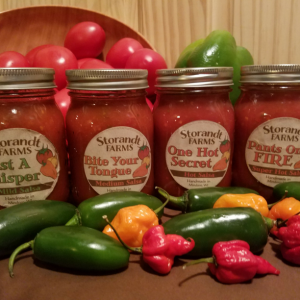 You will love the handmade quality, made the old fashioned way at our farm in Mindoro, WI. 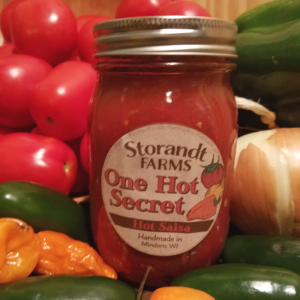 Storandt Farms’ “One Hot Secret” is our hot heat level salsa. 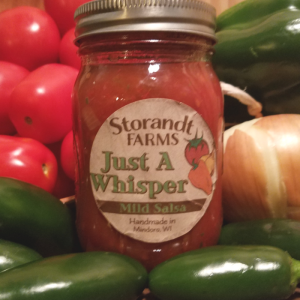 Habanero and jalapeno peppers give this salsa an amazing hot flavor without loosing the flavor of the salsa.